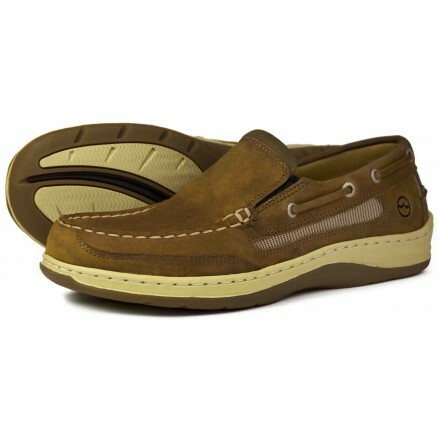 Orca Bay Largs Men&apos; Loafers are a very popular new addition to the men&apos;s loafer collection for the summer months ahead. This contemporary looking men&apos;s slip-on loafer is beautifully hand constructed using the finest quality luxurious salt resistant Nubuck leather. The patterned rubber sole is non slip and non marking making it ideal for wearing both on deck or on-shore all year round. These british made men&apos;s leather loafers are a multipurpose summer shoes that look better with age and feel great every time.